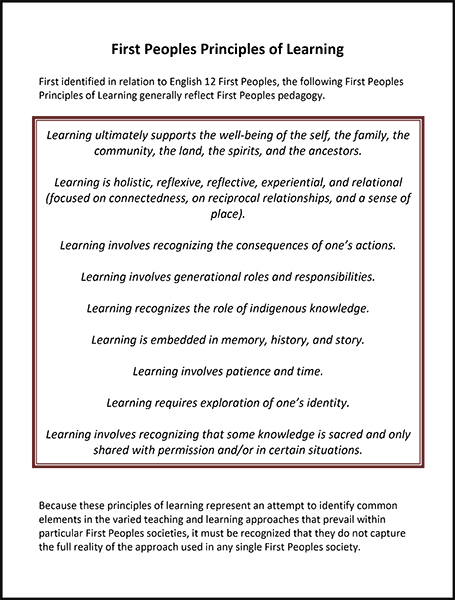 The following document is a report from the Chiefs Assembly on First Nations Education in 2012. This report has been pivotal in many of the developments in First Nations Education since then. One of the foundations used in the development of the new Aboriginal Education portion of the new BC Curriculum was the United Nations Declaration on the Rights of Indigenous People. While the declaration is not a legally binding document, it outlines the individual and collective rights that aboriginal peoples around the world have the right to. When integrating aboriginal cultures into our teaching practice, we need to consider the depth in which we teach the culture. 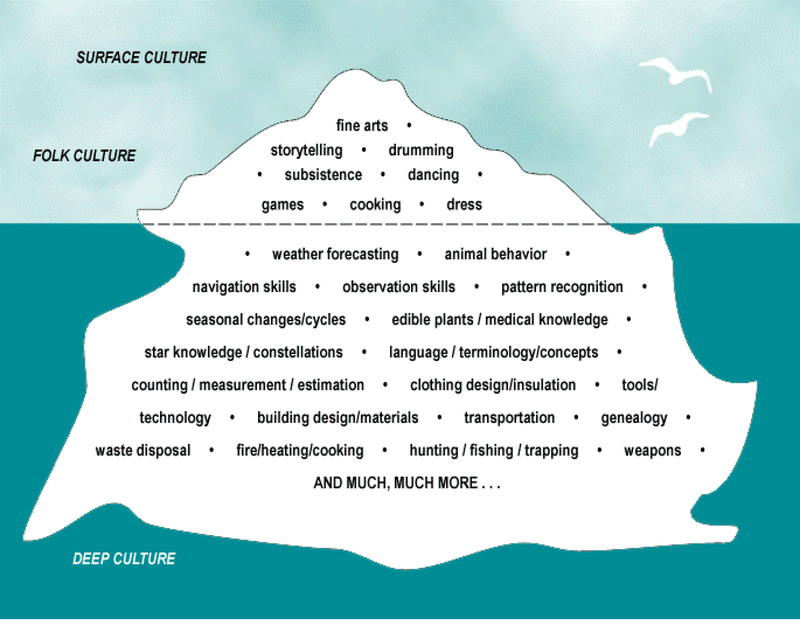 The diagram below is an example of the depth of culture we must explore. Dr. Jean Philips discusses the dominant discourse surrounding indigenous learners and how we can support indigenous learners in our classes and introduce indigenous topics to all our students and teachers. This powerful video was written and directed by author Thomas King and portrays the stereotypes indigenous people encounter in their daily lives and how these stereotypes of the past are empowering them in the greater community. Terminology: Which term do I use? This website compiled by the UBC Indigenous Foundations outlines the different terminology used by different groups. Wab Kinew's speech on the movers and shakers in the Aboriginal world we should all be aware of. Dr. Susan D. Dion - Introducing and disrupting the "perfect stranger" from marchiggins on Vimeo.